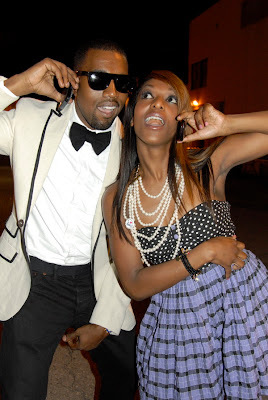 Joistarr & Kanye were snapped on the set of Mary Mary's "God In Me" video shoot. Joi is Kanye's female background singer and a dope vocalist in her own right. She is working on her solo debut right now, so expect big things from her. Check her out at myspace.com/joistarr.